The re-surgence of gin is happening. 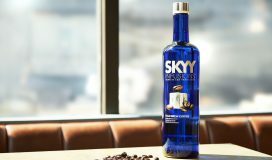 Yes, of course, gin is the star of martinis, negronis, gin & tonics, and gimlets, but for those of us who like to get a little creative, the clear, juniper berry flavored spirit can be found in numerous cocktails that are sure to satisfy all of your tastebuds. Our focus this time around is on RUTTE GIN; the Dutch-made, small-batch, juniper-based spirit, made in Holland. 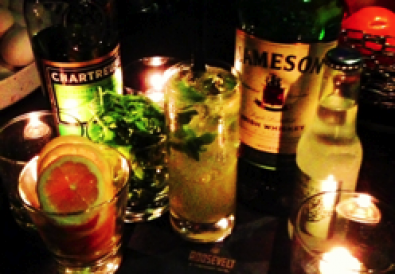 Rutte Spirits is comprised of Rutte Dry Gin, Rutte Celery Gin, and Rutte Old Simon Genever. 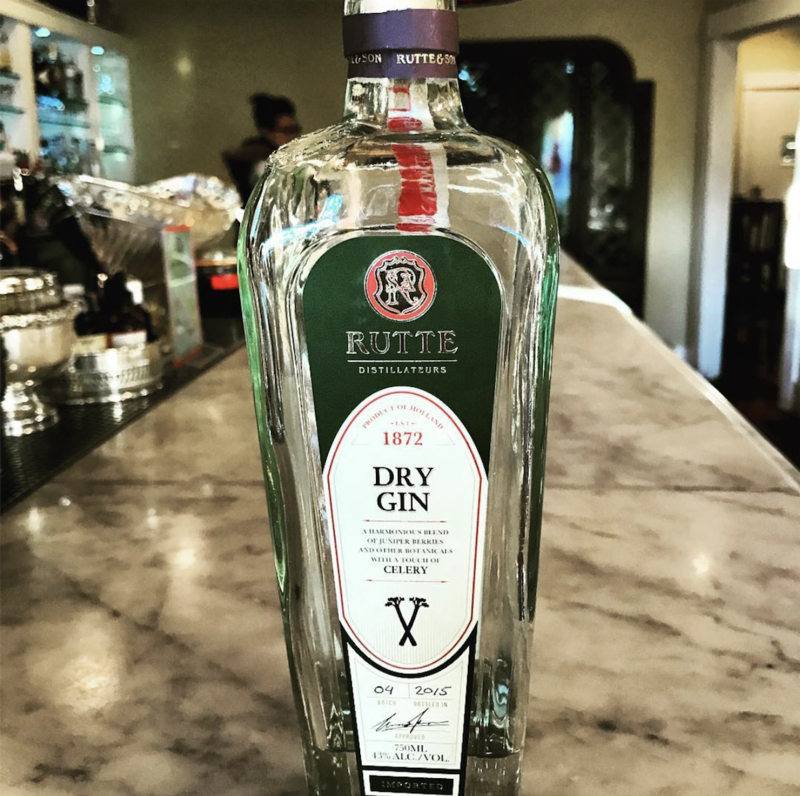 The result of seven generations of Rutte fathers meticulously teaching their sons the art of distilling, their gins and genevers are still hand-made in the same room where their founder, Simon Rutte, concocted his first spirits back in 1872. Not much has changed since origination. The family’s former living room welcomes guests as Rutte’s tasting room. 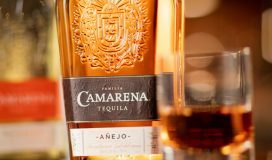 Their great heritage and zeal for craft can only be achieved through intimate production, which makes them the smallest distillery in Holland. 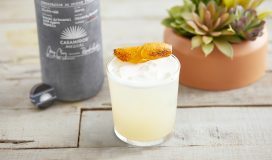 Working on a small scale, they source and utilize the finest natural ingredients, fresh fruit, and the best botanicals. Just as they like it! 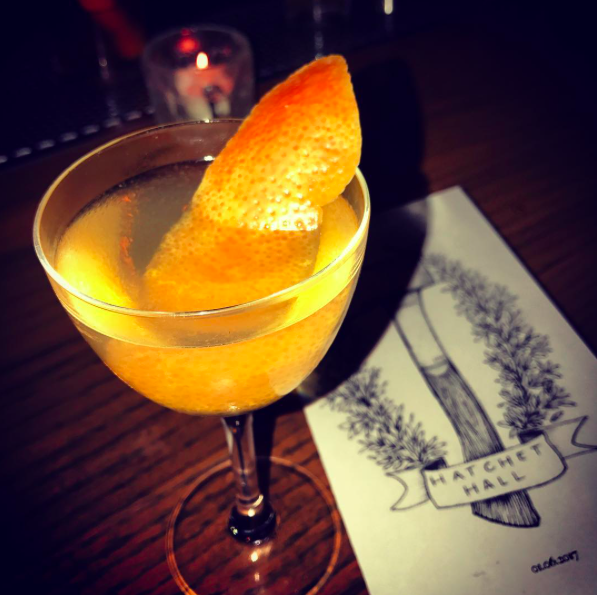 Over the holidays, far away from Holland, Tipsy Diaries conducted our RUTTE GIN ’12 Days of Cocktails’ Tipsy Tour around Los Angeles. 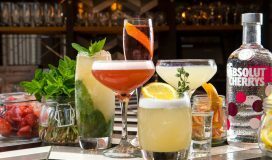 We put our drinking shoes on, hit the town, and hit up 12 of Los Angeles’ best cocktail bars, which resulted in 12 professionally-made unique cocktails mixed up by LA’s top bartenders. 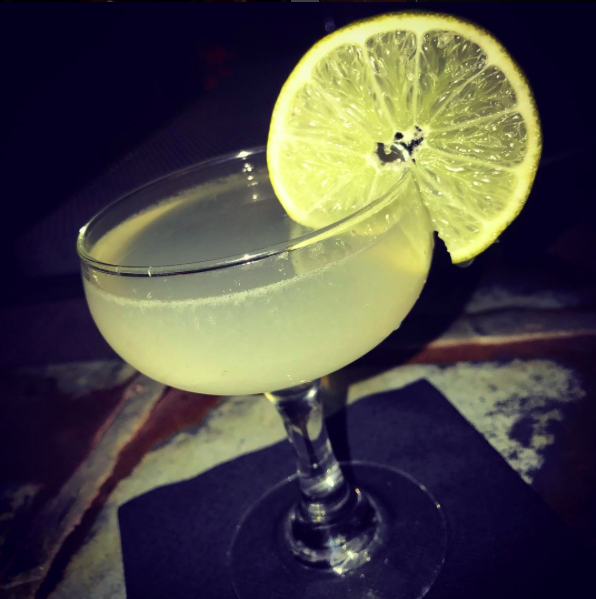 The first stop on our RUTTE GIN ’12 Days of Cocktails’ Tipsy Tour was to newly opened BIANCONI on W. 3rd Street in Los Angeles. Opened by international master restauranteur, Fabrizio Bianconi, it is his 2nd restaurant in Los Angeles, with other locations internationally. Bianconi is influenced by the unique flavors and seasonal ingredients of Mediterranean dining. Let’s get to our first cocktail, made for us by Conor O’Brien. Not on the menu, Conor mixed up a specialty RUTTE GIN cocktail just for us. Made with Rutte Dry Gin, Luxardo Maraschino syrup, muddled blackberries, a lemon wedge, black Hawaiian lava rock salt, and rosemary. Wow. The next stop on our RUTTE GIN ’12 Days of Cocktails’ Tipsy Tour was to SOTTO, the regionally-inspired Southern Italian food restaurant, serving wood-fired Neapolitan pizza, housemade pastas, and wood-grilled meats and seafood. Instead of going with a crafty cocktail this time, we went with a variation of a Dirty Martini, called ‘I’ll Live,’ made with Rutte Celery Gin. It may have been one of the most tasty martinis we’ve ever had! Brynn, the bar manager, sure knows how to do it right. 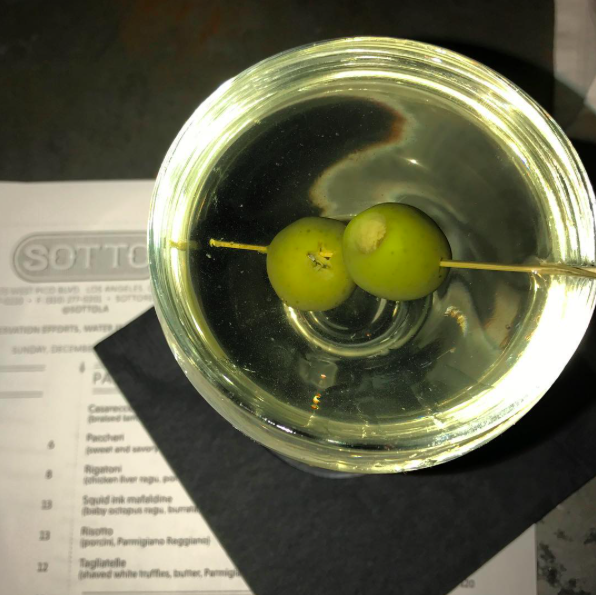 This Dirty Martini was made with Rutte Celery Gin, celery bitters, Giardiniera pickled liquid, spices, and Castelvetrano Olives. Melrose Umbrella Company located in the heart of Los Angeles’ historic Melrose shopping district, was our thirst stop. I mean, third stop. This cozy lounge offers up a variety of cocktails so tasty, that you could stay there all night long. 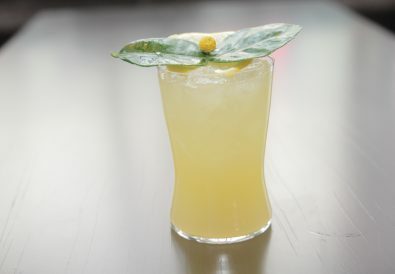 Our third cocktail was the ‘Maid of Garden‘ cocktail made with Rutte Celery Gin. A variation of a Bloody Mary; lighter and more refreshing! 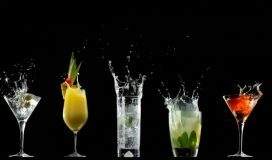 3 cocktails down, 9 more to go! 4th one coming up! 1/3 of the way there! The 4th stop on our RUTTE GIN ’12 Days of Cocktails’ Tipsy Tour was Bar Lubitsch. This trendy, Russian-themed bar is where classic turn of the twentieth century refinement meets modern day comfort. 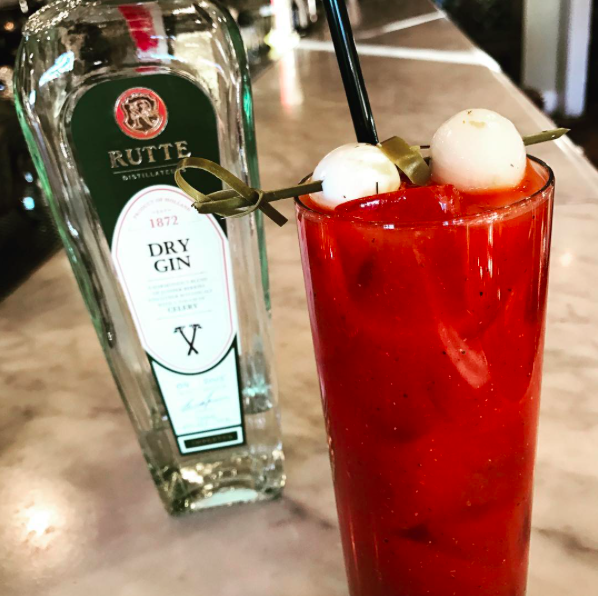 Known for their vodka collection (over 200 vodkas from around the world), we decided to rebel on the Lubitsch status quo and go with gin – this time with a REAL Bloody Mary made with Rutte Dry Gin. Next up on our Rutte ginny, gin, gin tipsy tour was Sassafras Saloon in Hollywood. 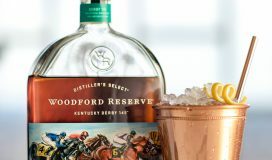 This mixology-focused bar & lounge offers up cocktails, live music, & an Old West theme. Great atmosphere. We opted for one of their house cocktails, the ‘Bywater Breeze,’ made with Rutte Celery Gin, Chareau, Celery Apple Shrub, Lemon, & Bergamot Bitters. What a tipsy tour so far…and still going strong! We decided to switch things up a bit for a change of scenery and head downtown to check out Faith & Flower. One of our favorite bartenders, Darwin Pornel, was on hand to mix up another amazing Rutte Gin cocktail. He made us an ‘Alexander,’ with Rutte Gin, creme de cacao, & cream. Mmmm! 1/2 way through the tipsy tour and not even close to being ginned out! 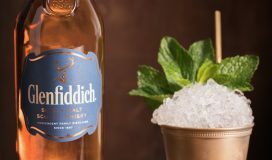 We want more gin – and by the 7th day, we were even craving it! 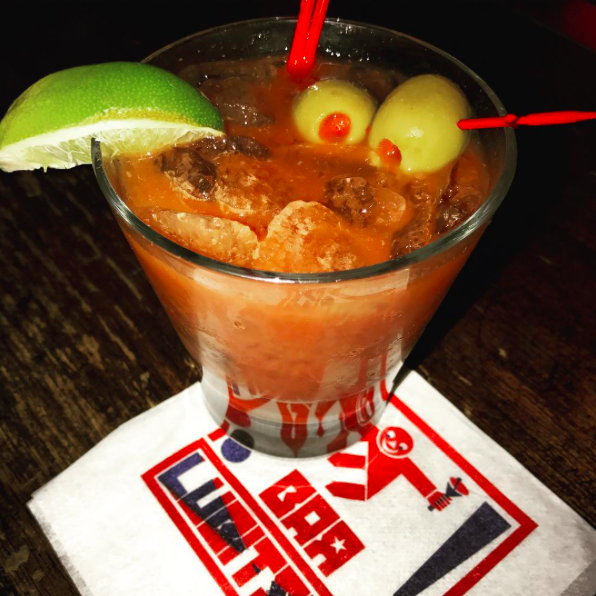 Our 7th stop happened to fall on a Saturday morning and there is nothing better than kickstarting your weekend with a Bloody Mary, a ‘Pimped Out Bloody Mary‘ to be exact, made with Rutte Celery Gin, House-made Bloody Mary mix, and pickled goodies. Big Bar at Alcove Cafe was the scene for this Saturday morning tipsyness. The 8th stop on our Rutte Gin ’12 Days of Cocktails’ Tipsy Tour (just incase you forgot who we were, what we were drinking, or what tour we were on) – the 8th stop was The Eveleigh, up on Sunset Blvd. The cocktails at The Eveleigh are very impressive – they can do up just about anything to your liking, such as the below Rutte Gin cocktail! 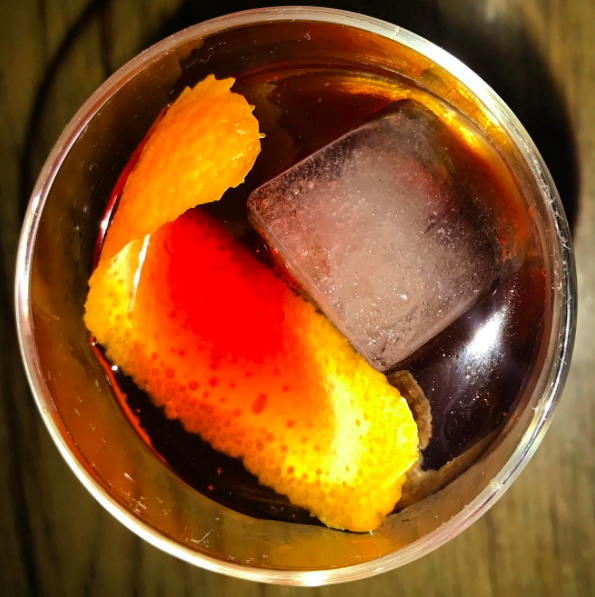 ‘Rutte Gin Negroni’ at A.O.C. Next stop, A.O.C.! We LOVE this spot! This eye-catching eatery on W. 3rd Street, with a courtyard, furnishes premium Californian-French small plates and fine wines. We opted to go back to basics and ordered up a Negroni with Rutte Gin, Vermouth, Campari, and garnished with an orange peel. Can’t go wrong with one of these and we were due! Next up, we headed over to Cecconi’s West Hollywood, located on the corner of Melrose and Robertson Blvd. With other flagship restaurants in Mayfair and London, Cecconi’s also has outposts in Miami, Istanbul, and Berlin, serving hand-made pasta, seafood, and dishes from Italy, using only the finest ingredients. The gin negroni at A.O.C. 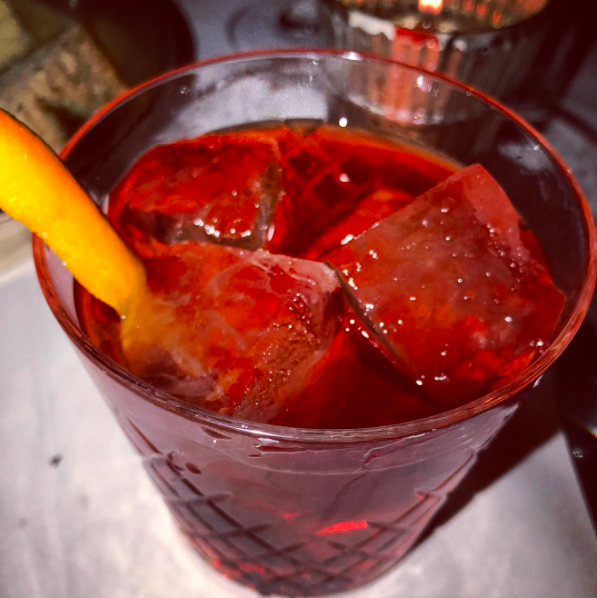 was so good that we decided on another negroni at Cecconi’s – that was just as good! 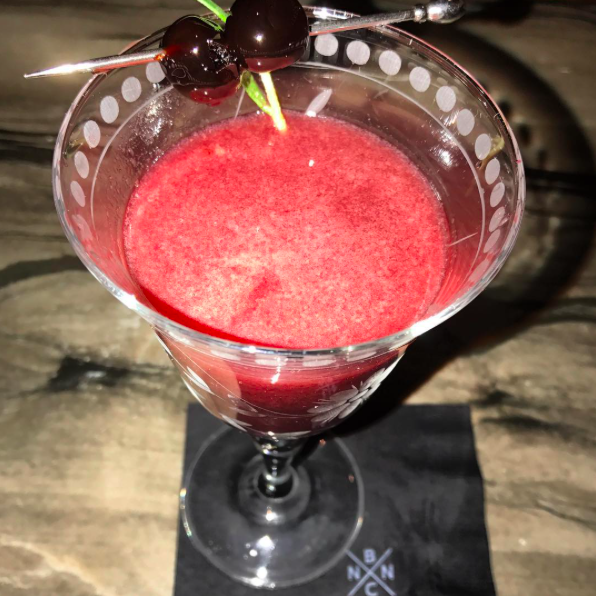 After our stint in West Hollywood, we headed over to Culver City for the 11th stop on our ’12 Days of Cocktails’ Tipsy Tour, Hatchet Hall. The stylish, lodgelike spot with taxidermied animals, a hidden spirits bar & hearty meat-centric menu, provided us with another great tipsy experience. Our bartender mixed up a non-menu Rutte Gin cocktail for us called ‘Eleven Eleven‘ made with Rutte Genever, Dolin Blanc, Creme de Cacao, Elemakule Tiki Bitters, with a twist of grapefruit. We are nearing the end of the most gin-filled 12 days of our lives! 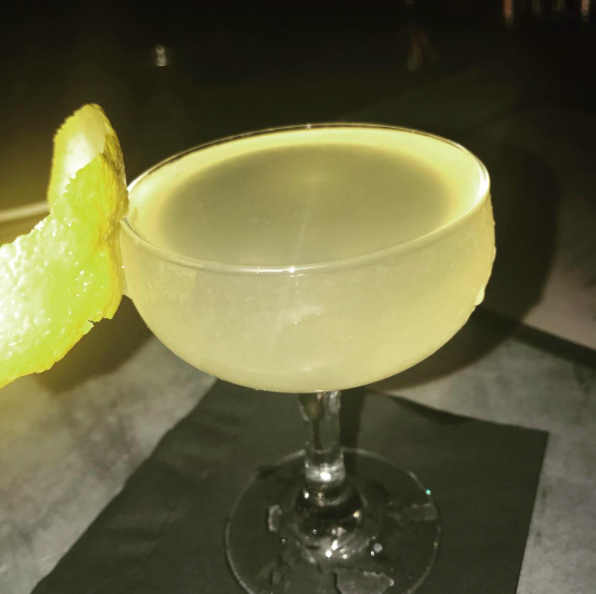 For the final stop on our tipsy-filled RUTTE GIN ’12 Days of Cocktails’ Tipsy Tour, we headed over to Venice to check out The Venice Whaler. This American eatery and bar serves up unfussy fare & drinks in a spacious setting with ocean views. Tipsy with a View coming right up! On the day of our visit they happened to be launching their ‘Bloody Mary Bar.’ Perfect timing! We knew there were some sort of Tipsy Gods following us around on our adventures. The Bloody Mary Bar provided all of the toppings, flavors, & accoutrements for a dope-a** Bloody Mary (made with Rutte Celery Gin). Available on Sundays for brunch, it’s a must-do. 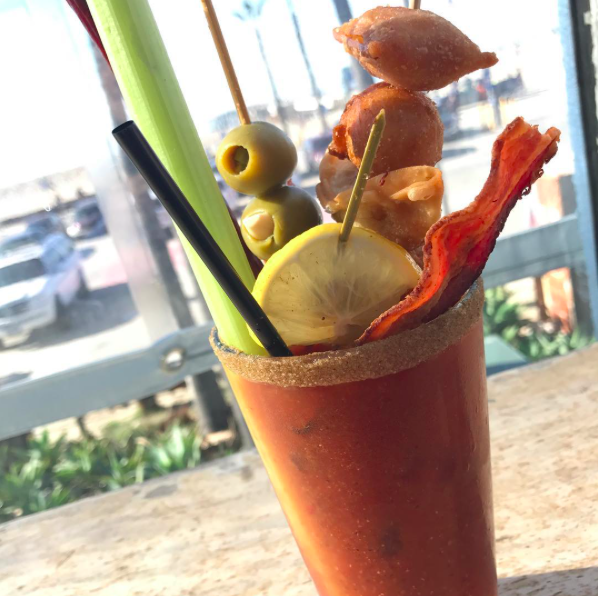 Bloody Mary’s and ocean views, there is nothing better! 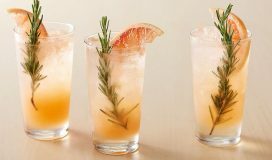 That’s it for our RUTTE GIN ’12 Days of Cocktails’ Tipsy Tour 🙁 Sad day over here at Tipsy Headquarters. 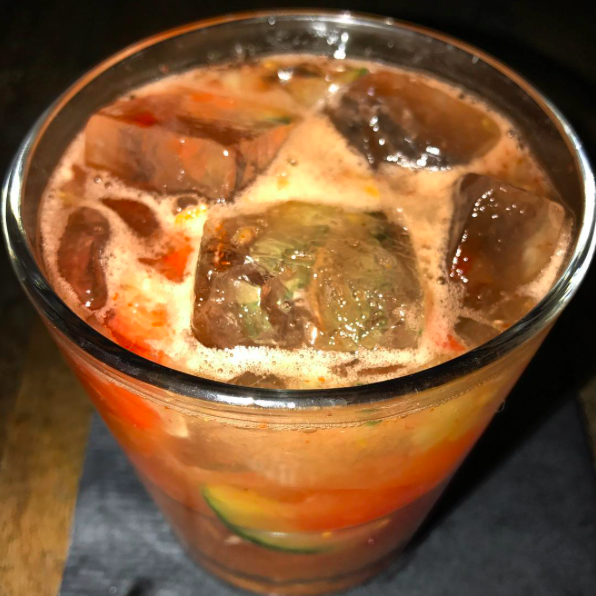 From Beverly Hills, to West Hollywood, to Los Feliz, Downtown, Hollywood, and Venice, we hit up some of LA’s most cocktail-centric bars, that also happen to make BOMB Rutte Gin cocktails! We got in our fair share of bloody mary’s, martinis & negroni’s, however, the specialty gin cocktails were unique in their own right, and oh so good! 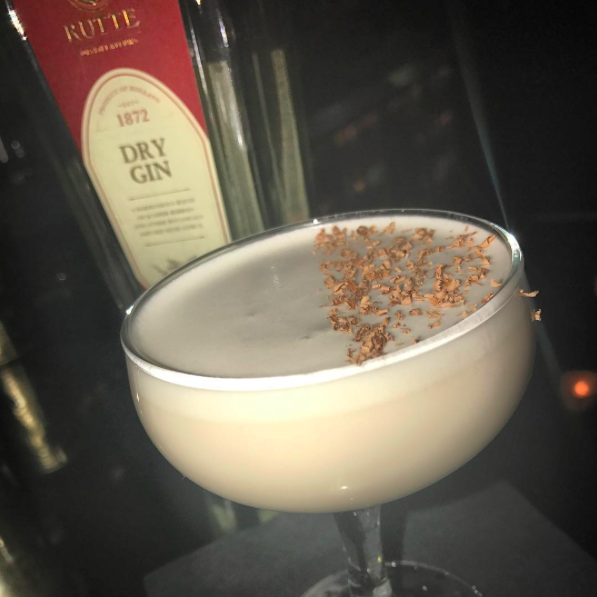 Next time you have free time on your hands, we recommend hopping on the Rutte Spirits band-wagon and checking out their flavorful cocktails all around town!